The nursing profession has some incredible flexibility perks that make it a whole lot easier for me to be a working Mom. To start, I usually work three days a week, which is full time for a nurse. I am able to fit my 38-40 hours into 3 days instead of doing in in 5 like most of the working world. Occasionally, depending what is going on at home I only work 2 days, and on rare occasion, I’ll only work one. My work days, however, are extraordinary long for what most people would consider a “normal” workday. I leave my house at 5:45 in the morning. Most evenings I don’t walk in the door until after 8;30 pm. About 13 hours are spent at the hospital and I’m working my tail off every minute of it. My brain is completely shut off from all aspects of my home life during those long, arduous shifts. Unfortunately, I don’t get to see my daughter at all on the days I work. I leave before she wakes up and I’m home after she goes to bed. I may as well be out-of-town on those days. 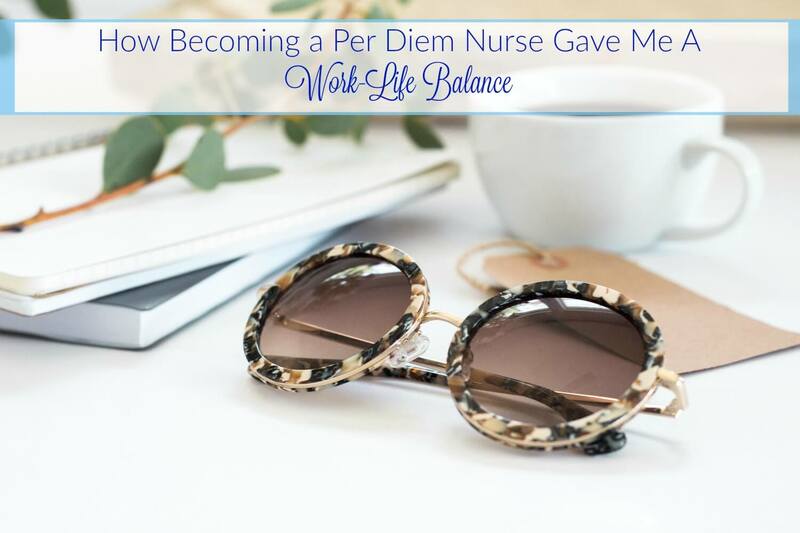 Becoming a per diem nurse has given me a better work-life balance since I had my daughter in October 2015. Unlike most professions I have the ability to only work three days a week (or less if I choose to). And that means that I get to be home at least four days a week to spend solid, interrupted, quality time with my daughter and husband. I love my days off and use them wisely! On top of that I became a per diem nurse in May of 2016. Per diem nursing is a game-changer for me as a working mom. It is so flexible that I don’t know if I’ll ever be able to go back to being a career RN again. Being a working mom is more doable and less stressful now that I have a little more work-life balance. I try to work every Monday and Wednesday and alternate working 1 weekend day every other week. That way I switch between working 2 days one week and 3 the next. My husband has to be home by 5pm on the days I work so he can relieve our nanny. It puts a bit of a strain on him to have to leave work early those days but he makes up for it by staying late later on other days. We share our amazing nanny, Ana, with another family whom she works with on the days she is not with us. We guarantee her 2 to 3 days a week whether I work or not. I feel very fortunate, because I believe I have a balance between being able to work mostly full-time and be kind of like a stay-at-home mom on my days off. 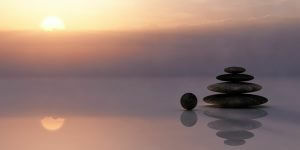 Finding a work life balance helps me have a healthier, less stressful life. If fact I think its possible that being a working mom with my schedule allows me to spend more quality time with my daughter than if I didn’t work at all. When I’m at work I am completely engaged and focused. I look forward to thinking critically, applying my skills and helping to save lives. I’m constantly learning and applying myself in difficult situations. Then when I’m home I can completely shut that part of my brain off and be fully present. Our fun activities on one of my off-days typically includes going to the park or for walks, meeting friends out for play dates, cooking, errand running, or just hanging out at the house. There is a lot of reading, playing, giggling and even a daily nap (for Mommy too!). Since I work so hard at the hospital I am so grateful to be home and be Mom. Even running errands with my daughter is enjoyable (Zoe loves going out with Mom, especially when she gets to help me pick out groceries). In all honesty, I’m often beyond tired on my days off, but at least I can compartmentalize the two parts of my life. Many careers don’t have that option. Being a working Mom means making sacrifices and finding creative ways to make a work-life balance possible. How do you find work flexibility? 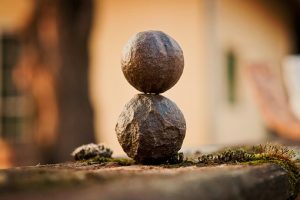 Do you have a work-life balance?